I have been spending quite a bit of my time during the last month spinning and knitting, lots of different projects, some small, some bigger, some gifts, some just for fun. 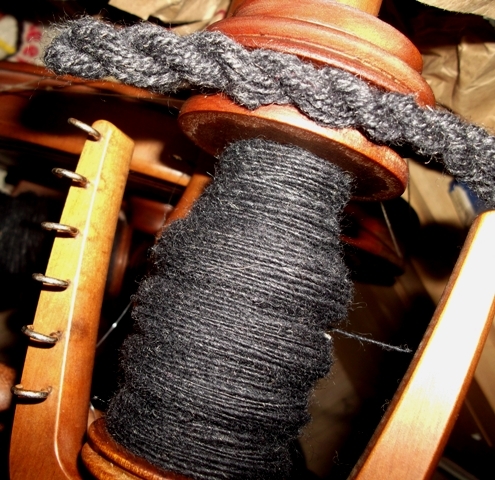 Lots of other things keeping me busy too with school and Christmas not far away, but enjoying cosy nights with wool in one way or another. My autumn spinning has been completed, plied as a 2 ply to get a decent yardage - approximately 340 metres of DK weight yarn destined to be a shawlette for me to wear as a scarf. I was intending to have cast it on by now but have been concentrating on other knitting I wanted to do first. Hope to share a picture of the finished item in the new year, here is the yarn. 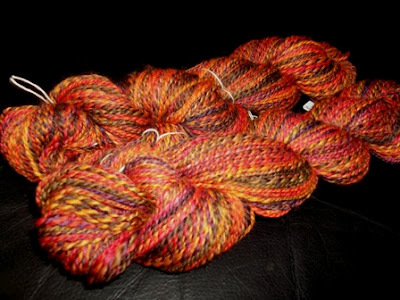 I am now spinning some fibre from my stash which is drum carder blended alpaca, wool and a little bamboo. 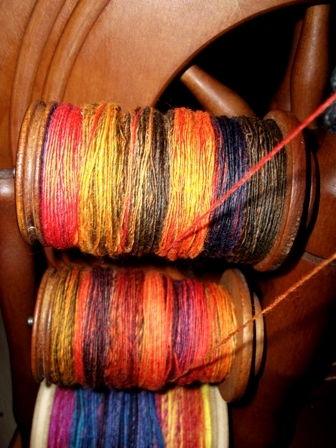 Looking good so far with one bobbin full and another hot on its heels. In knitting I have been quite productive. 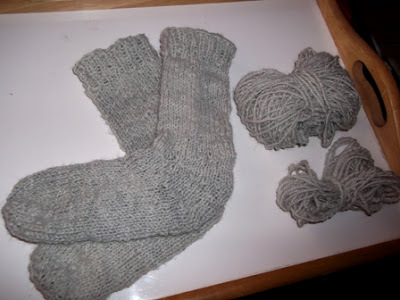 I have knitted some socks for my daughter out of some of my handspun from 2009! A little lumpy and bumpy but lovely and soft and she helped my dye this yarn in black beans. I didn't get the mordant right so a lot of the colour ran out, but it's a lovely silvery light blue. Determined to work my way through my handspun stash, I have knitted several small projects to use up all those oddments. 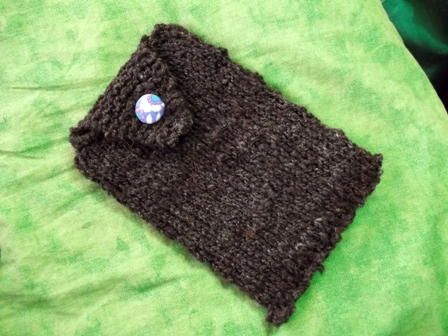 So I have knitted a tablet cover, a kindle cover, another kindle cover (different sized kindle! 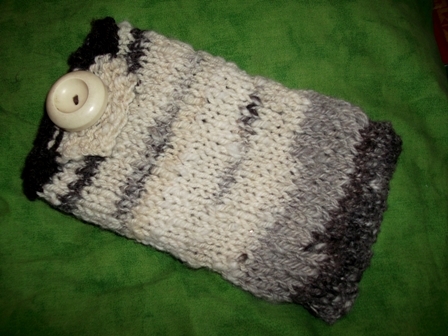 ), a mobile phone cover and a small bag to felt. 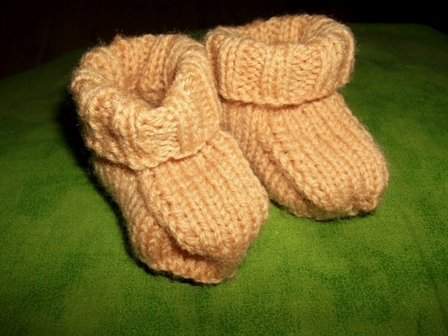 Not from handspun but I have knitted some booties for a relatives baby due in 2013. 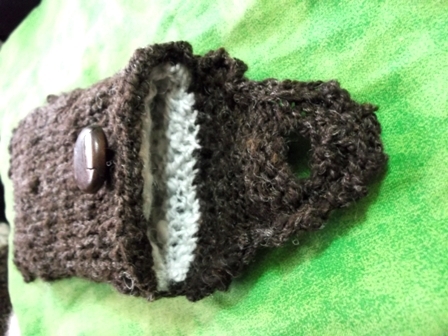 I will be knitting more and some other pieces for them in the new year. 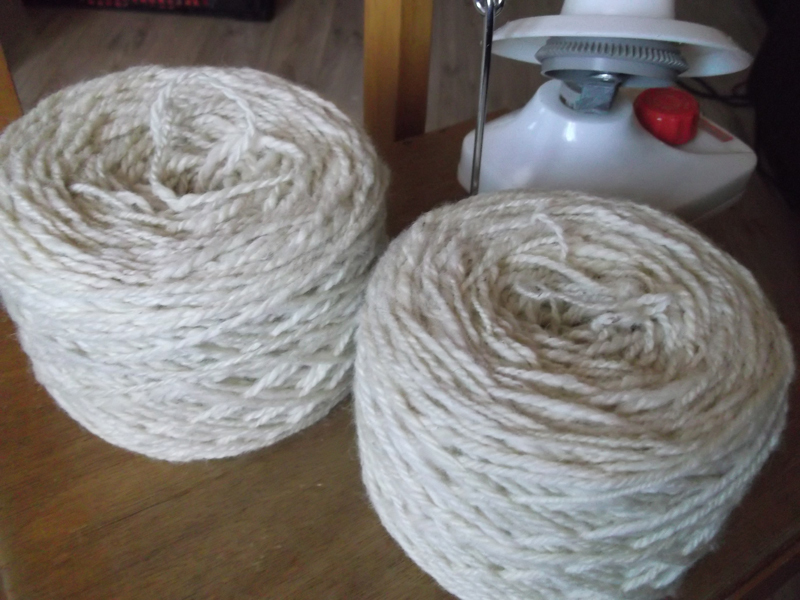 Back to handspun yarn, this Dorset Horn from my stash has been wound into yarn cakes ready to knit the next pair of socks. 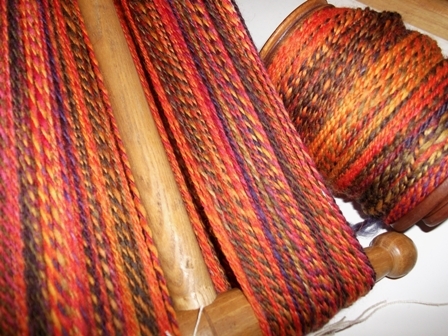 Other crafty projects in the making, but I can't share them here just yet. 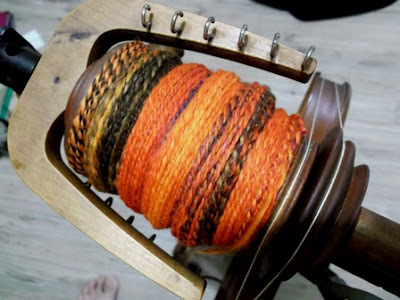 Looking forward to seeing what everyone else is doing. 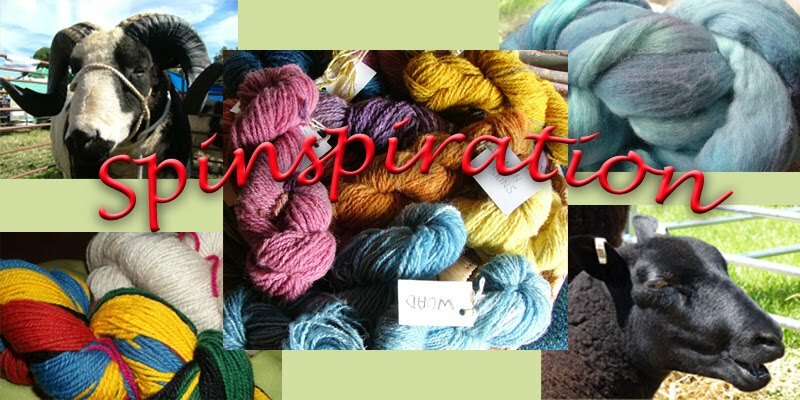 Thank you all for sharing this space over the year. I leave you all with a wish for a wonderful festive season however you celebrate it, and I look forward to sitting and chatting with you in 2013.